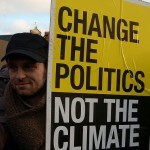 From Copenhagen to Cancun to Durban:Behind the politics of climate change - Climate Justice Now!Climate Justice Now! 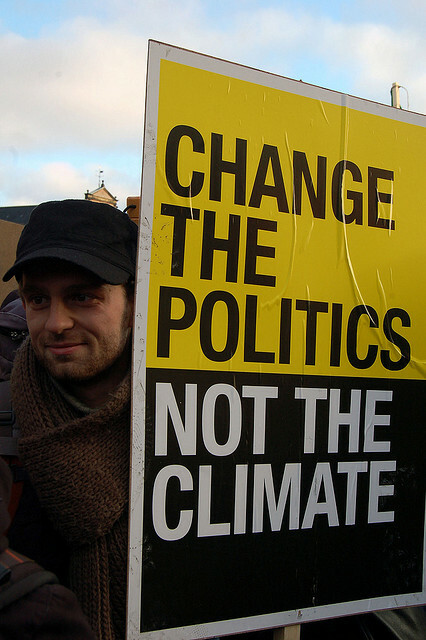 This year is a critical one for the global climate change negotiations. Durban, South Africa will play host to the UN Conference of Parties (COP 17) later this year. One of the challenges in the run-up to Durban is understanding the politics of climate change arising from the Copenhagen meeting and the subsequent Cancun conference, the outcomes of those meetings, and how these outcomes relate to Durban and, therefore, what civil society demands can and should be. What happened in Copenhagen and Cancun? The Copenhagen conference was essentially a train wreck. It ranks as one of the worst international meetings held in the last decade and a half, and may go down in infamy for the Danish government’s handling of it. The mandate of Copenhagen was to come up with outcomes in two tracks of climate change negotiations under the UN Climate Convention and its Kyoto Protocol (KP). There was a heavy push to involve heads of states. The direct involvement of these leaders complicated the negotiations because once they arrived, the formal negotiations stalled and negotiations went underground. Essentially, a number of high-level officials from a small group of countries, around 26 or 28 (the actual list has never been made public) disappeared into a backroom at the conference centre. So you had the delegates of around 190 countries negotiating as part of the formal process as they are supposed to while, in parallel, in a backroom, there was a meeting going on that even the chair of the negotiations had not been invited to. That small group came up with a document that they called the ‘Copenhagen Accord’. This was basically a document that was drafted initially by the Danish government with input, as far as we can tell, from a fairly small group of developed countries. The negotiations in the backroom continued until after midnight on the final day, while delegates from the remaining 150 countries waited in the plenary room for hours. The Danish prime minister came back and said to the governments assembled that a small group had been working very hard and had come up with a document that they wanted to present as the outcome of the meeting. For many of the delegates it was the first time they had seen the document or that version of the document, and they were given one hour to go back to their groups and review the document and basically accept the outcome. And of course the flags of dozens of countries went up in the air: ‘Point of order,’ was decalred. The deputy executive secretary bent over and said to the Danish prime minister that there were some ‘points of order’ but the prime minister lent back and said, ‘There will be no points of order.’ Unbeknown to him, his microphone was switched on and this was communicated to everyone in the room, triggering pandemonium. He stood up and walked off the podium. Delegates then heard a resounding banging that ricocheted around the room. A delegate from Venezuela had picked up the plastic name tag of her country and was banging it on the table demanding that the Danish prime minister return to the room and the other countries be given the right to participate in the multi-lateral negotiations. When the Danish prime minister was brought back reluctantly and red-faced to the podium, the delegate raised her bleeding hand and asked: ‘Do I have to bleed to have my country heard in this forum?’ There were other interventions. Tuvalu said they would not sell their future for ‘30 pieces of silver’. Sudan asked whether the document was a suicide pact and whether delegates were being asked to incinerate Africa. In the ensuing discussions in the plenary, the UK and USA mounted pressure on other countries, basically bribery and pressure, using finance in an attempt to get countries to agree, but ultimately countries led by Bolivia and Nicaragua held firm and the Copenhagen Accord was merely noted, meaning that the UN neither agrees nor disagrees with it; it simply recognises that it exists. Following Copenhagen, many of those same governments exerted massive pressure on developing countries to sign up to the Accord. Many African countries did so willingly, in part because Ethiopia had been one of the countries that had been in the room and had supported the Copenhagen Accord and had brought it back into the processes of the African Union, but many other African countries stood firm against the Accord. Between Copenhagen and Cancun there was a strong process to reinstate the Copenhagen Accord as the basis of negotiations and to reintroduce it as one of the formal documents. As negotiations moved to Cancun there were continuing concerns about substantive demands, but also about the process of negotiations – whether countries would genuinely be able to participate and represent the interests of their people. In Cancun it was recognisable that this was going to be a different type of negotiations: The developed countries were not going to repeat the same mistake that they made in Copenhagen. Instead, there was a much more sophisticated process established that involved a number of things that were extraordinary in the UN process. This included meetings of small groups of countries that were not announced. A new text was developed in a process that no-one quite understands. In subsequent meetings of the Africa group, delegates acknowledge they still have no idea who drafted the document. The document was again tabled with a few hours notice, but this time with a much more sophisticated process and ultimately only Bolivia was really willing to stand up and raise questions about the process. They enumerated their concerns, including a shift to a pledge-based process; the continuation of market mechanisms under the Kyoto Protocol, even if there is no second commitment process; questions around the scale of financing; and concerns around technology and intellectual property. Ultimately, the views of Bolivia were dismissed by the chair, the text was not opened for any negotiation and the chair said that consensus did not mean unanimity. In other words, the fact that a sovereign state opposes a consensus does not prevent the document from being adopted, which is inconsistent with the traditional understanding of consensus, which means that all parties participate. Basically, what happened in Cancun was that there were a number of undertakings for further work and, in a sense, these are deliverables for the Durban meeting. But there were a number of issues that were left unaddressed because Cancun addressed the easy issues, but left the hard issues that arose in the Bali Action Plan. Underlying these meetings is the clash of paradigms between the science-based, equity-based, rule-of-law-based process that was envisaged in the Bali roadmap and the pledge-and-review approach which the United Nations Environment Programme (UNEP) reveals will lead to between 2.5 and five degrees Celsius of warming and associated impacts that include massive levels of loss and damage, particularly in Africa. At Cancun, there were two main outcomes: One under the Convention (AWG-LCA) and the other under the Kyoto Protocol (AWG-KP). Two key questions arise: What is on the table and what are the key things that need to be addressed in both of these areas? On the table on the AWG-LCA is a two degree Celsius goal and a review to 1.5 degrees Celsius by 2050. The position of various countries reflects their underlying material interests: The Annex 1 countries (developed countries) have supported two degrees Celsius while within the African group there is support that has flip-flopped between two degrees Celsius and 1.5 degrees Celsius. The last statement was for 1.5 degrees Celsius. There are also issues around mitigation, all related to the effort sharing question, because all of them affect how much the developed countries do and how much the developing countries do, and how much reduction need be made in each of a country’s economic sectors. Obviously the level of cuts in terms of mitigation by the developed countries is important, but also their access to the carbon markets – how much of the effort they can shift back to the developing countries through carbon markets. Also, the use of the Reducing Emissions from Deforestation and Forest Degradation (REDD) agreement and the proposed forest carbon markets have to be added in to understand the basic effort sharing model to ensure that adequate effort is made by the developed countries and isn’t pushed onto developing countries in a manner that is unjust and unsustainable. In terms of the general issues, there is a need to protect the current system and also ensure there is an adequate level of emissions reductions by the developed countries. On the table, however, there are a variety of different proposals. The most ambitious is a 50 per cent cut by 2017 put forward by Bolivia and a number of other countries, basically asking the developed countries to change their lifestyles and consumption patterns to halve emissions. The African group has again oscillated between two different demands: A weaker one (40 per cent by 2020) and a stronger one (45 per cent by 2020). African countries need to stick to the stronger end of the demands again to ensure the effort is undertaken by the developed countries and it doesn’t fall to Africa to pick up an unfair share of the burden. Another issue is the question of markets and loopholes. In other words, do developed countries do what they say they are going to do and how much are they going to achieve through creative accounting, through loopholes. And then there are questions of how the system then accounts for this in terms of measurement and verification. Via the Cancun agreement, the Annex 1 countries are merely going to take on targets to be implemented by them that are both not legally binding and negotiated. Developing countries have rejected this flawed model. There also are concerns about the levels of the emissions gaps by Annex 1 countries and the comparability of efforts by the USA and the level of stringency of the reporting requirements of the Annex 1 countries. And so, again in response to that, the demands have been 40-50 per cent by 2017 or 2020, clearly comparable efforts by the USA in terms of their level of ambition, the legal form and their compliance and then maintaining the current system of mitigation pledges. Attaining these desires may demand a political strategy, engagement by heads of state in Africa with their counterparts in the run-up to Durban, as well as very strong efforts in terms of media and communication and mobilisation by civil society and other actors in the developed countries to apply pressure on their governments. Under the Kyoto Protocol, the big demands are for a second commitment period. If the Africa group’s central demand is a second commitment period, Durban must not be the graveyard of the Kyoto Protocol – this has to be made very clear to the Annex 1 countries. They cannot come to Africa and expect to kill the Kyoto Protocol and fail to honour their legal obligations and fail to respond to the most basic demand of African negotiators. The challenge here, of course, is getting an adequate scale of emissions reduction and then closing the loopholes in the markets to close the emissions gap as well as ensure that Annex 1 countries do their fair share. Durban is one stepping stone but there is also the danger that developing countries may be forced back into discussions around institutions, and the big picture issues taken off the table. Developing countries and indeed the world are basically being herded into a fait accompli around the Kyoto Protocol and a fait accompli about the global system for stabilising the Earth’s climate. One that, from UNEP (a very conservative multi-lateral institution) figures, is likely to lead the Earth to between 2.5 degrees Celsius and five degrees Celsius of warming. There are people and institutions working to block progress on climate change. They are the same people that are undertaking projects in Ogoniland and other parts of Africa. They are the same companies that are undermining climate legislation in the United States Congress and they are the same corporations that are emitting the greenhouse gasses that are causing the problems that the world is saddled with. Africa, and indeed the larger developing world, needs to put forward alternatives that are inspiring, that will actually lead negotiations to the solutions that are needed to save the Earth and humanity from destruction. So, Durban is a stepping stone and must deliver a bold step on the path to a just climate outcome. This entry was posted in Cancun / Negociations, Carbon markets, COP 15 Copenhagen, REDD, Toward Durban and tagged Africa, Annex I, cancun, COP 15 Copenhagen, emissions, Kyoto Protocol, Negociations by admin. Bookmark the permalink.